I needed to get the BIN data from some DX7 cartridges, but I don’t have them all. I only have ROM3. So I desoldered the EPROM in the ROM 3 and compared that to the .SYX files found easily on the web. 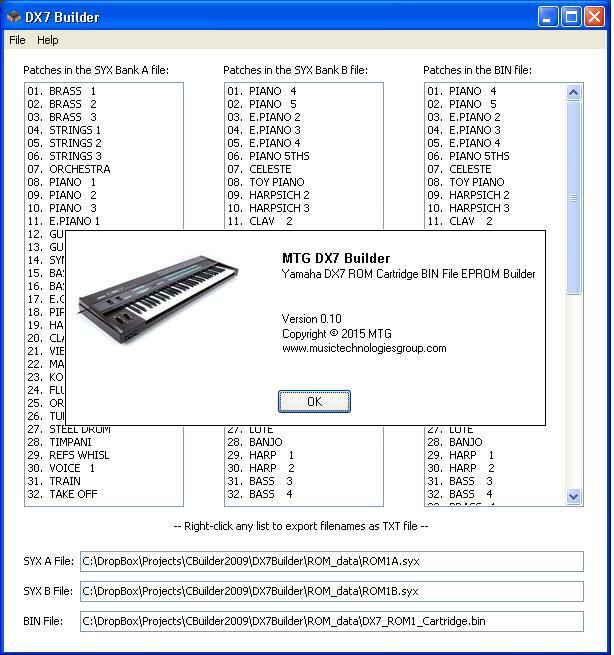 So then I threw together a quick application where I could take DX7 bulk voice dumps and create an EPROM from that. Note that the Bank B data actually appears in the ROM space before the Bank A data. That’s just because of the decoding on the Bank A/B switch. As I mentioned in the SuperMAX Redux post I also have the BIN data for the E! presets (256 of them are stored in half of the 27512) as well as the SuperMAX ones (64 of them in half of one of the 27128’s). 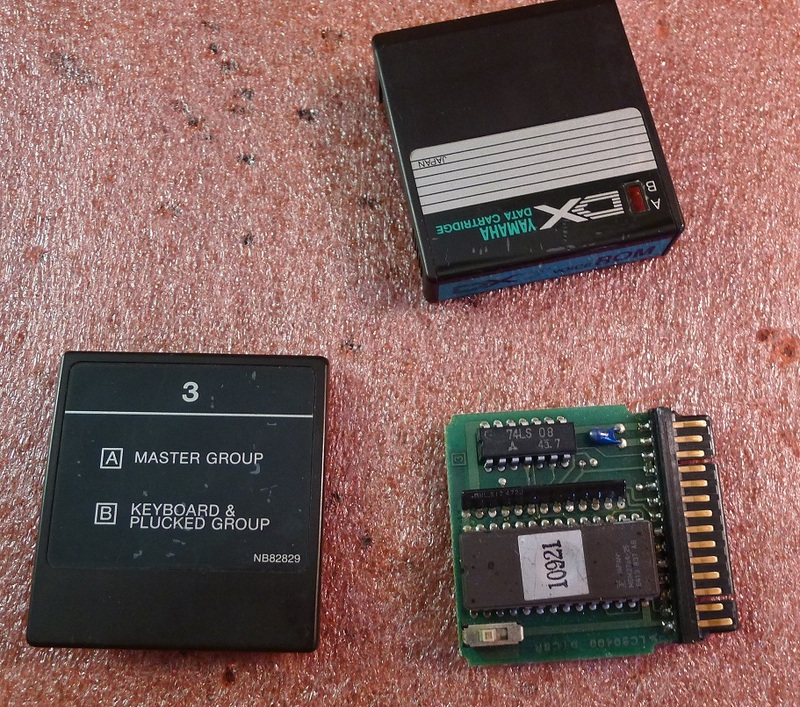 So it would be possible to replace the data in those EPROMs if one wanted different presets in either of those expansion boards. Anyway that was my weekend.